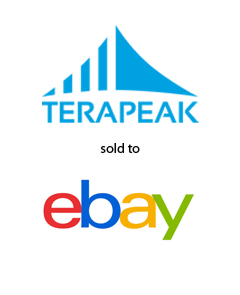 AGC Partners is pleased to announce that its client, Terapeak, a leading provider of eCommerce analytics SaaS, has entered into an agreement through which eBay intends to acquire its business. The acquisition will serve to broaden eBay’s existing marketplace analytics capabilities within Seller Hub, making professional selling on eBay easier. Terapeak will further fuel eBay’s current focus on building the most powerful selling platform, while continuing to help its merchants scale their businesses on eBay. With a team led by Ben Howe, AGC Partners acted as the exclusive financial advisor to Terapeak.